The AAGL Board (the Board) would like to thank the members who recently signed and sent a letter with the subject line “Surgeons for Gender Equality”. This letter expressed concern, disappointment, and frustration regarding the authors’ statement of a “long-standing culture of sexism and underrepresentation of women that exists within the AAGL”. At the recent 2017 AAGL Annual Meeting, there were remarks made during the meeting that brought to light this concern and offended some members in attendance. The Board would like to apologize. The Board is taking immediate action to design and implement policy changes that will address the concerns expressed by our members. The Board is committed to looking at how we can improve our procedures for reporting incidents, past and future. In addition, the Board is committed to reviewing policies on values and determining procedures required when expectations are not met. The Board has been and will continue to be committed to increasing representation of women and diversity at all levels of AAGL leadership, including senior positions. The Board has engaged an independent expert in this field, and is in the process of forming a task force to examine its current policies and procedures to identify opportunities for improvement. AAGL leadership is committed to changes that will help make AAGL more inclusive, fair and welcoming for all members, regardless of gender or minority status. We do not expect this to be fast or easy. To the contrary, we know that this endeavor will require each of us to examine our thoughts and actions, to thoughtfully consider the perspectives of others, and to be open to changes that may be necessary. We ask that you keep an open mind, be patient, and that you support our efforts to make AAGL the best that it can be. We invite you to observe our efforts, progress, and changes in this arena, and welcome your feedback on how we’re doing. 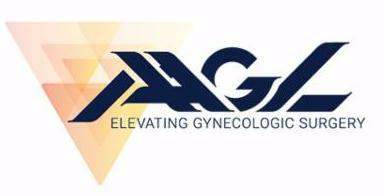 Thank you for being a part of AAGL and for your commitment to elevating gynecologic surgery.